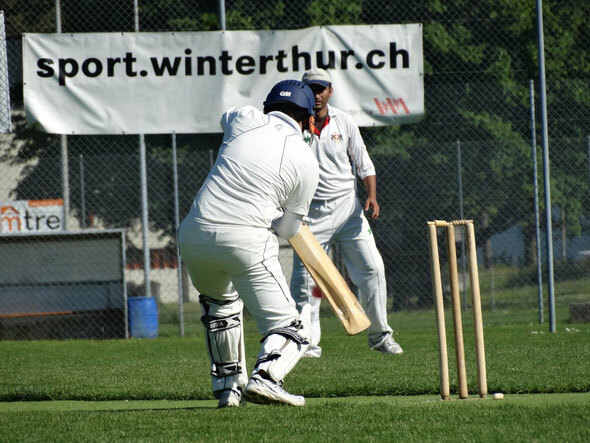 Winterthur Cricket Club lost their season opener against league newcomers St Gallen Cricket Club by just 2 runs in an exciting season opener at Deutweg on Sunday 18th May 2014. Winterthur captain Prafull Shikare lost the toss to ex-Winterthurer and St Gallen captain Nasir Mahmood who immediately elected to bat first on a newly laid pitch and on a gorgeous sunny late spring Sunday in May. 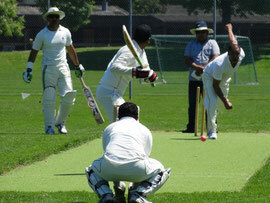 After a solid start by the St Gallen openers, Winterthur took two wickets in quick succession. In the 3rd (a catch from captan Prafull) and 4th overs (a run out by the Winterthur 'keeper Tom Mampilly). At 16-2 Winterthur were now on top but a superb 3rd wicket partnership between Arslan (36) & Ali (23) moved the visitors to a respectable 60-3 by the 14th over and 66-4 by the 16th. At drinks St. Gallen once again looked in control at 84-4 and continued to add to the total. Nine overs later, in the 29th, Winterthur managed to break the 5th wicket partnership, but by this time St Gallen were 129-5 and were looking at a total of 180 plus. 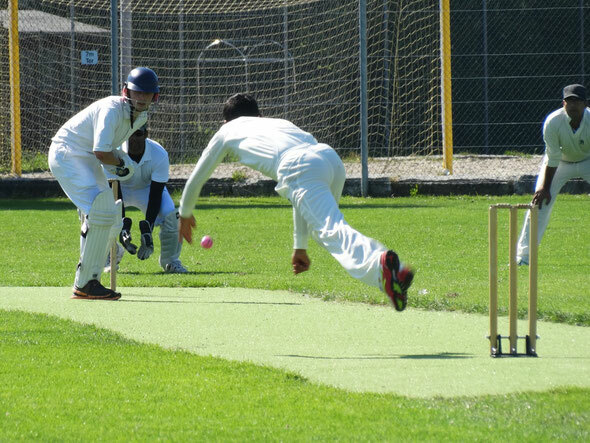 However, the Winterthur bowlers fought back, limiting the St Gallen batsman's shots and taking St Gallen's 6th, 7th & 8th wickets for the addition of just 9 runs, St Gallen 138-8 - Waqar doing most of the damage, taking a double wicket maiden in his 4th over. The St Gallen tail wagged a little, but were eventually dismissed all out for 153, Sanjee taking a great catch in the deep. The Winterthur innings got off to a great start but only lasted 7 overs when Sanjee (12) was caught behind by the St Gallen 'keeper. The second & third Winterthur wickets fell soon after the first bowling change, Naseen taking two wickets in successive overs, Ned (5) clean bowled and Selva (0) unlucky to be judged LBW on a duck. Already Winterthur were on the back foot at 38-3 off 10 overs. Prafull (14) & Tom (14), who had performed so well together in Italy the previous week were again at the crease. Both played good, mature cricket against a strong St Gallen bowling attack, but both wickets fell either side of the drinks break. 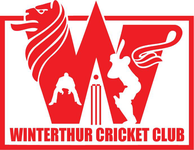 Winterthur at 81-6 had left nearly half the target score to the tail end with just under half the overs remaining. But the tail-enders performed well, led by Lee Pierpoint (17), run out after a mix up in the middle with Arno de Lange (7*). An excellent innings by Asghar John Masih (11) took the game to the wire but the joy was cut short when Imran Sirajudeen (11) was judged LBW, just 2 runs short of the total. So not the start that Winterthur would have hoped for, but lots of positives to take from the game and opportunities to practice before Winterthur's next league match against last year's champions Olten on Sunday 22nd June.